Your TORONTO-GTA EXPERIENCED Real Estate Agent! Contact Me Today ! 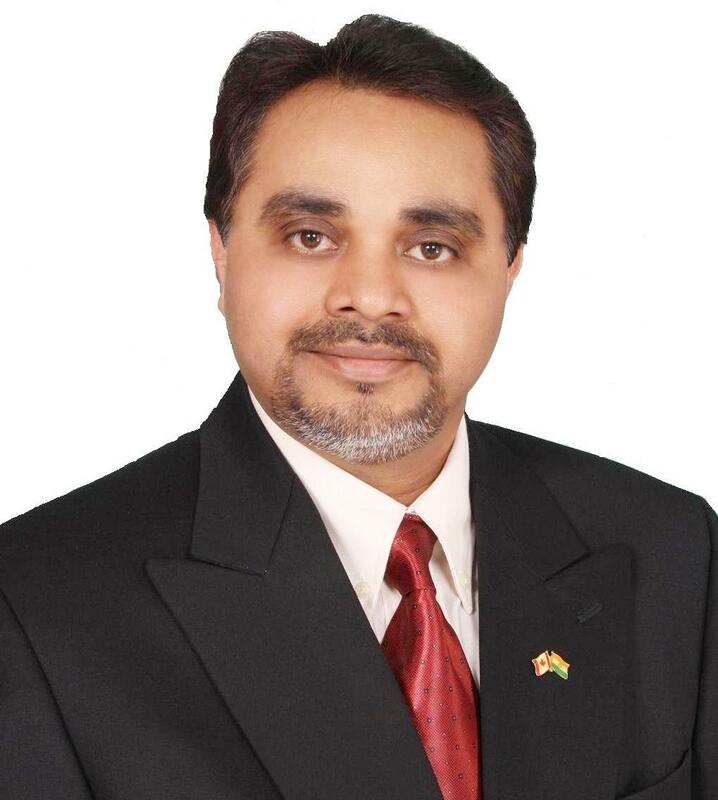 Vijay believes in learning something new everyday and makes a commitment to further education, attending conferences, seminars and courses to serve his clients. 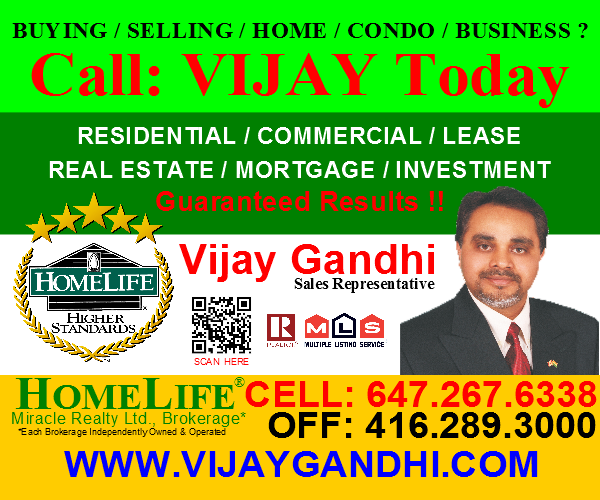 Vijay Serves in the Greater Toronto Area Including Durham, York & Peel Region. Vijay would be pleased to refer you to a trusted associate across that. When you hire my services for your real estate needs, solving your problems becomes my top priority. Whether it is buying a new home or vacation property or selling your current house at the earliest, I can assure you that I can get the job done right with my years of experience and knowledge in the local real estate market. As your real estate agent, I consider it my responsibility to provide you with nothing but the best, whether it is helping you select your new home, or getting you a great deal on your property sale. I am committed to getting you only the best value for your money in your real estate venture. Buying a home can be an intimidating task for most people, especially as it involves a large financial commitment. Moreover, as a first time homebuyer you might not be well aware of all the nitty-gritty issues involved with the purchase procedure. I can help simplify the process by taking care of all the paperwork involved. Through my wide network of associates, I have access to the largest number of properties that are on sale in your area. This gives you a wide range of options to choose from, making it easier to find your dream home. From selecting the home to the final closing steps, I will assist you at every step of the way so that you make an investment that you will cherish for a lifetime. Marketing to the right audience is the key to selling your home quickly and at the right price. Most often, a ‘For Sale by Owner’ home remains on the market for a longer time as it lacks the right marketing exposure. The longer it remains on the market, the more its value will depreciate. Once you hire my services as your real estate agent, your property will be listed in the areas best listing services, accessible to numerous other affiliated agents. This way, your home becomes known to all the interested buyers in the area, which increases the chances of finalizing a sale. I also help home sellers prepare for the sale and give guidance on how to get the house ready for a home inspection. Buying your new home is a serious venture. It can be an absolute pleasure or can extremely stressful time. VIJAY certified buyers specialist can help you determine what your dream home should entail and how it should function for you and your family-and in turn will find that dream home. I'd Love to Hear from You. I'm here to Help. The relationship between a Home Buyer or Seller and their Realtor is based on trust, shared goals and understanding. I promise to listen to you, to work with your goals in mind...and to help make your "home dreams" a reality. I also promise to not pressure you in any way...no sales tactics or gimmicks...just your best interests taken into consideration.... in a time frame that you're comfortable with.